Hello Cleaning Brush, Will You Be My Mom? 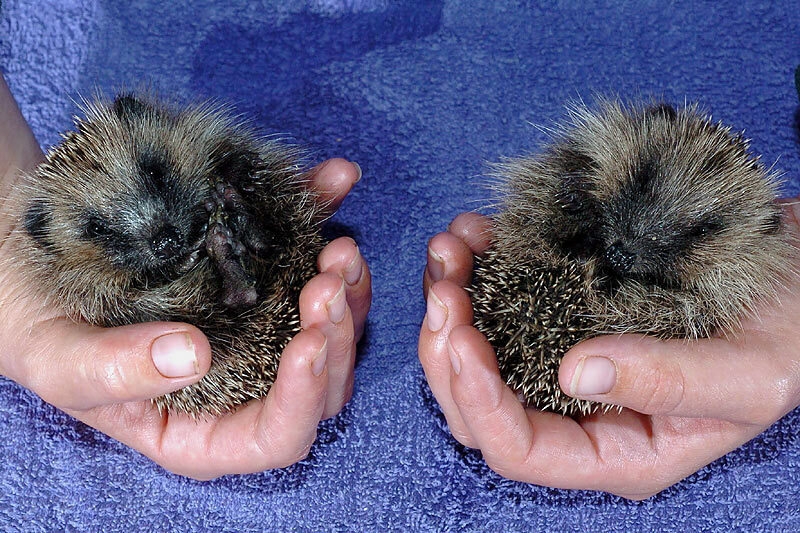 Four tiny orphaned hedgehogs are snuggling up to the bristles of a cleaning brush – because they think it’s their mother. Workers say Mary, Mungo, Midge and Slappy get comfort from playing with the center’s cleaning brush and enjoy rubbing against it. Manager John Crooks, 41, said: “They are a bit like human babies – they need activities to keep them busy. “Because they have very poor eyesight you have to appeal to their sense of smell and touch by giving them different scents and textures. “They like natural scents and have enjoyed playing with our cleaning brushes, soil, leaves, flower pots and the like. “They particularly seem to enjoy rubbing against the brush. He added: “Three of the hedgehogs came to us because their mum was sadly crushed by a council palette truck at one of their depots. “They are only a couple of weeks old. “The fourth one is a little bit older and was found wandering around a back garden in the middle of the day. 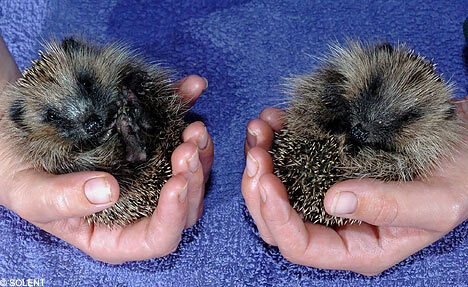 The hedgehogs will be fed until they are full-sized and then they will be released back into the wild. John said: “We are feeding them milk powder mixed with kitten food – but they don’t like fish flavor – they prefer nice meaty chunks. “When they get older they will move onto proper cat food and will occasionally be given slugs and snails as a treat. “There has been a real surge in slugs this year because of the wet weather so hopefully that will mean a good year for hedgehogs too. “I would urge people not to kill garden slugs with pellets because the poison will be passed on to hedgehogs and a build up of poison could be fatal. He added: “They are quite a handful and each has their own character. Cute title! I thought it would be an article about how hedgehogs help people clean, haha! That is cool that they like the brush.